Outdoor adventures come in many forms. From thrill seekers, occasional hikers to exploring urban areas. As far as urban areas go, not all areas are equal. Towns are rated by size and location. Some enjoy the cultural arts, while others look for brew pubs. When it comes to striking a balance between being outdoors while not being too far from a local watering hole, Central Oregon fits the bill. Bend, Oregon is in the middle of the state and is accessible from all around. The scenery is amazing, geological history phenomenal, and terrain suitable for all abilities (hiking, biking, climbing, etc.). A growing urban area in the middle of no where with great access to scenery, mountaineering, hiking, road biking, mountain biking, fly fishing, rafting, kayaking – you get the point. Another great attribute of Bend is the availability of trails in town, with close proximity to most brew pubs and local dining. A realistic itinerary for most days can involve some outdoor activity in the morning, lunch in town, a local stroll to explore nearby areas, and conclude with a casual dining experience or a picnic at one of the many parks Bend has to offer. A float in the Deschutes River near the Old Mill District. You can put in with some floatables just upstream of the Old Mill District, float down and take out just above the dam. The best part is the shuttle that will take you back to where you started for really cheap. A hike up Pilot Butte for an amazing view of the surrounding areas, especially, the Cascade Mountain Range. You can view Mt. Bachelor all the way up north to Mt. Adams (which is in Washington State). And yes, this is in Bend, you do not have to travel far. Visit Smith Rock State Park – world class climbing and a great spot for a day hike and picnic. 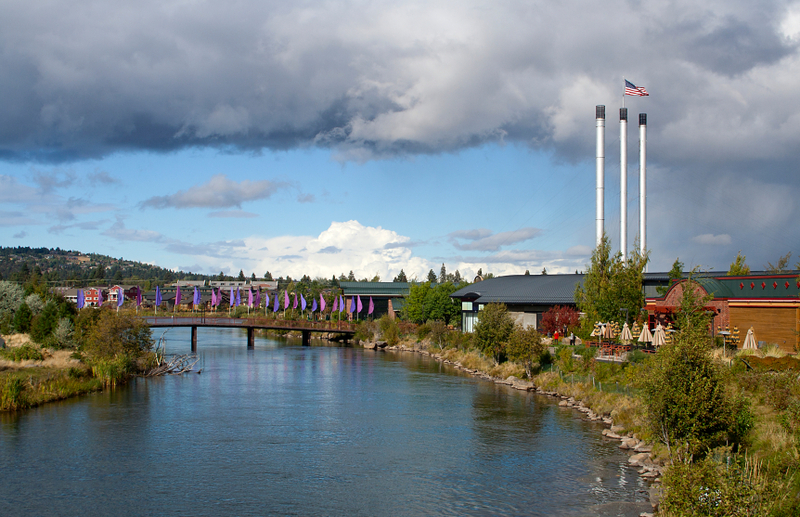 Drive around the Metolius River area – a breathtaking watershed and river for you to enjoy. Grab a bite to eat and drink at Crux Fermentation Project. A relaxing atmosphere for both adults and kids alike. Discovery Park in the NW part of town. New neighborhood that boasts a large pond and natural play area for the kids. The adults can take a hike around the area while the kids play. This is just the beginning. The great part of urban adventures are the options for people of all ages and interests. While some explore out and about, some can explore closer in. While the kids expend some serious energy, the adults can sip on a beverage uninterrupted. Enjoy the many great things urban areas provide. Just pick the right area.